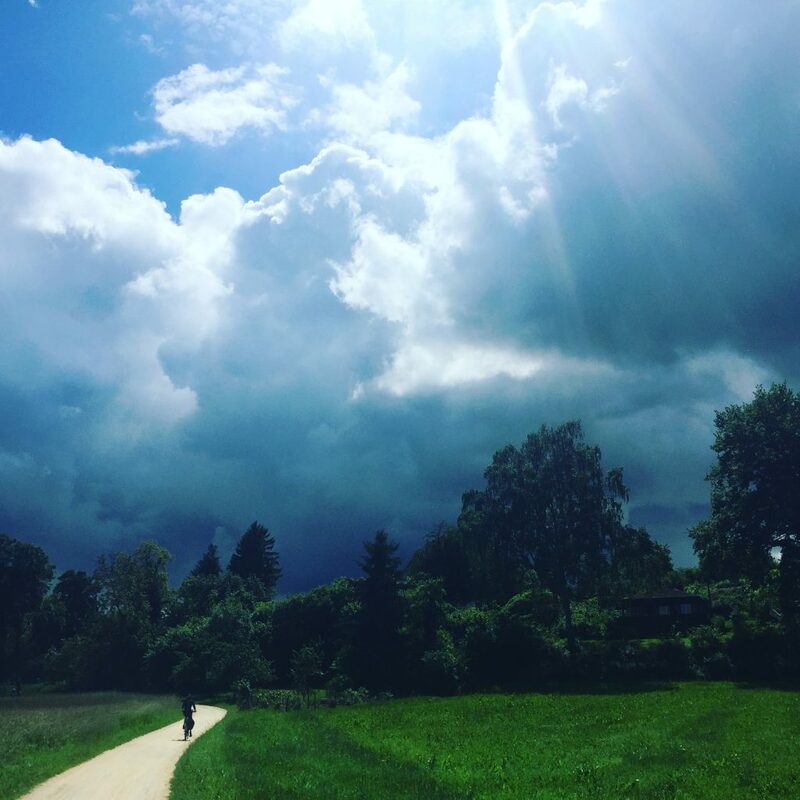 Take beautiful landscapes surrounding a magnificent Lake, romantic architecture, vineyards, waterfalls, cuckoos and rainbows and you have the fairytale that is cycling Lake Constance. I’ve said it before and I’ll say it again. For me, there is no better way to explore a new country than on two wheels. A cycling holiday provides a wonderful adventure, an opportunity to visit new countries and to see aspects of them you wouldn’t ordinarily get to witness by car. There’s a true sense of freedom, of independence, a feeling of travelling like a local and really getting to know somewhere. 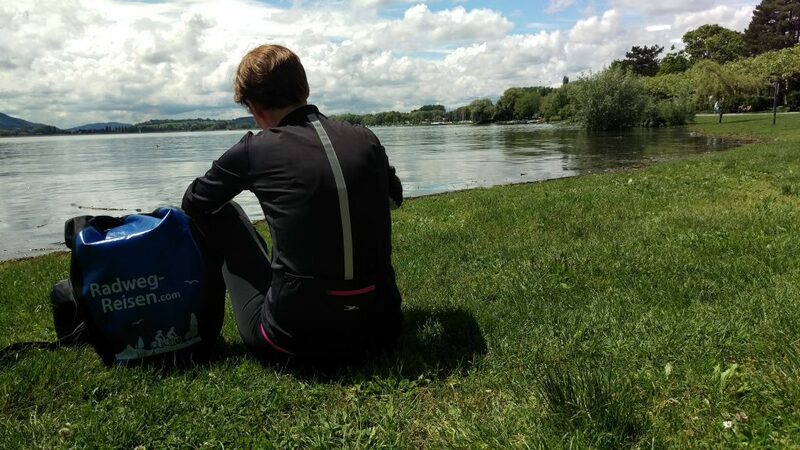 Lake Constance offers mainly flat cycling with the occasional incline; it’s the perfect option for couples with a non cycling partner, and families with older children. Being next to the sea, a river, a lake instantly calms me. The Victorian doctors didn’t prescribe a dose of ‘sea air’ as a cure for an assortment of ailments for no valid reason! Okay, I know, we’re talking about the Victorians here, doctors who believed in all sorts of weird and wonderful methods of ‘curing’ illnesses but truly, there is something amazing about the power of blue space. I think we all recognise how a walk by the river or a stroll on the beach can make us feel calmer. Blue space has a tranquil energy and a positive impact on our health. Cycling next to water is an instantly calming experience. Not only are the views wonderful but the sense of space you get cycling alongside a lake frees up the mind for holiday mode super quick! 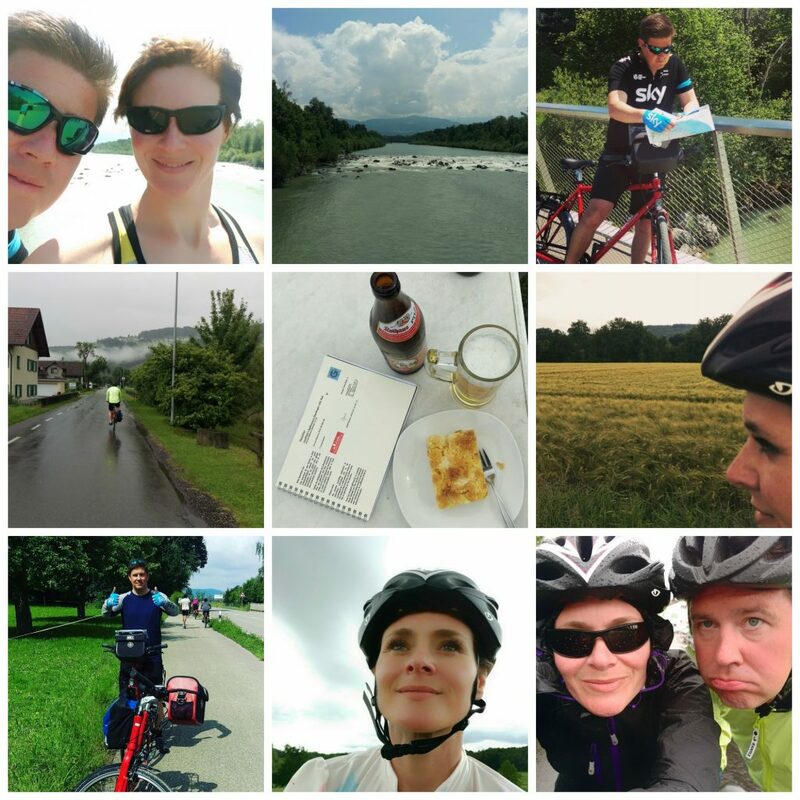 Our trip to the beautiful alpine gem that is Lake Constance saw us cycling a total of 313km over six days. The Lake is 63km long, 12km wide, 536 sq. km and borders Germany, Switzerland and Austria. 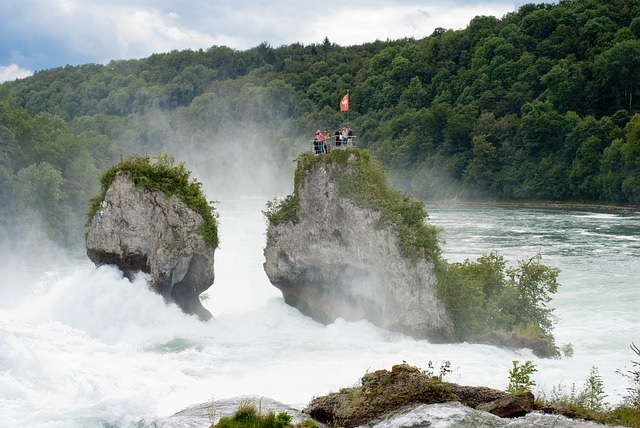 Fed by the river Rhine, no trip to Lake Constance would be complete without a trip to the breathtaking Rhine falls. For our cycling trip around Lake Constance, we were provided with a schedule of hotels for each stay during our week long trip, a map with the daily route and some brief details of areas of interest and where to visit en route each day. Cycling Lake Constance will see you complete a self-guided cycle tour around this expansive body of water, using a well organised network of cycle paths, mainly directly alongside the lake, but also taking you inside alpine forests, next to the Austrian mountains and through vineyards and orchards. You’ll be accompanied by birds of prey, cuckoos and rainbows! What struck me about cycling Lake Constance is that bike riding really is a way of life in Germany, Austria and Switzerland. It’s a recreational activity, a means of transport, a way of keeping fit. So many people cycle, of all ages and on all kinds of bikes. The UK could learn a lot from the quiet, safe, well organised cycle path network. There’s a lot of respect for cyclists in this area of Europe and you’ll enjoy the traffic free network as you pass traditional wooden Bavarian houses adorned in flowers and artwork, historical monasteries, churches and towers and some amazingly stylish and contemporary lakeside houses. Day 1: travel from Stansted to Munich to Konstanz. Overnight stay in Konstanz ready to begin our tour. 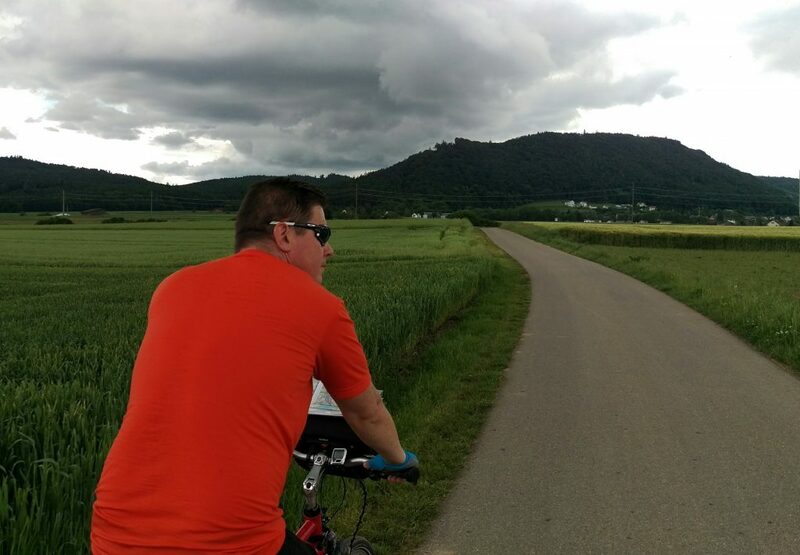 Reichenau Island – we added an extra 10 km on to our cycle route to visit the quaint Reichenau Island, a UNESCO World Heritage site with approximately 5000 inhabitants. The mild climate here makes it ideal for growing vegetables and you’ll cycle through fields whilst the locals work manually on the crops. 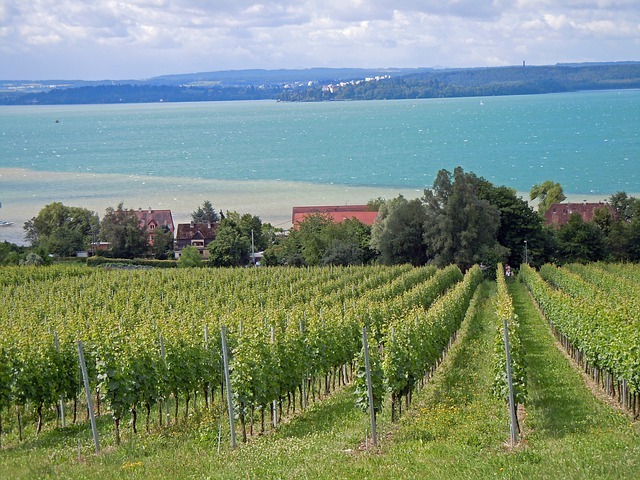 The vegetables grown here are distributed around Lake Constance and will no doubt be found on many of your plates whilst you dine and refuel for the next leg of your cycling trip! There’s a monastery, a museum and boat trips available to around the island. Sadly, when we arrived we had just missed a trip so we didn’t get to experience this, bu if you can time it right, it’s supposed to be well worth it. 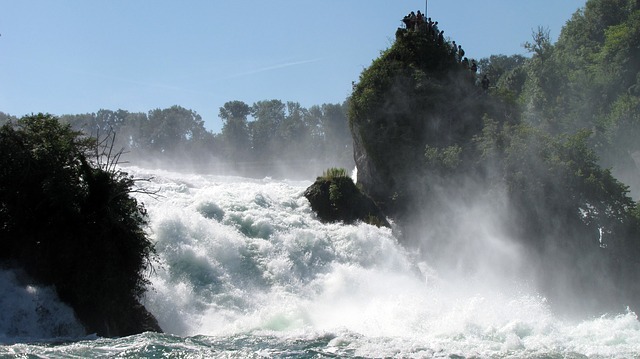 Day three took us to the Rhine Falls and back and included tickets for a boat trip to explore the Falls. They’re the largest waterfalls in Europe. An astounding 600000 litres of water pour down every second from a height of 23 metres on a width of 150 metres. For the best view, visit the northern shore and take a boat trip to the cliffs in the water where you can climb to the top. The water rages and flows into the most incredible shade of jade. It’s really quite something! Castle Laufen, an ancient fortress on the left bank of the river thrones over the crashing water. It rained on day four. It rained hard, with thunder storms a plenty, so we spent much of the day getting through the kilometres without stopping! On a self-guided tour, you’re never quite sure whether you will get lost and exactly how long the route will take you, so we pedalled on. We had intended to visit the Flower Island of Mainau (at our own extra cost) but when we arrived it was raining harder than ever, so we continued on. If, when you visit, the weather is kinder, this is supposed to be beautiful. Starting in spring and going well into autumn, the island offers a botanic spectacle. Depending on the time of year, you will see a vast array of orchids, tulips, roses, dahlia, rhododendron, azalea, hibiscus and more! The centre of the island is an arboretum containing a collection of rare and precious hard and pinewoods. Quite a spectacle of amazing colour, I’m sure. Recommended sites: We enjoyed our rest stop in Friedrichshafen town; it has the longest and most scenic waterfront of Lake Constance. 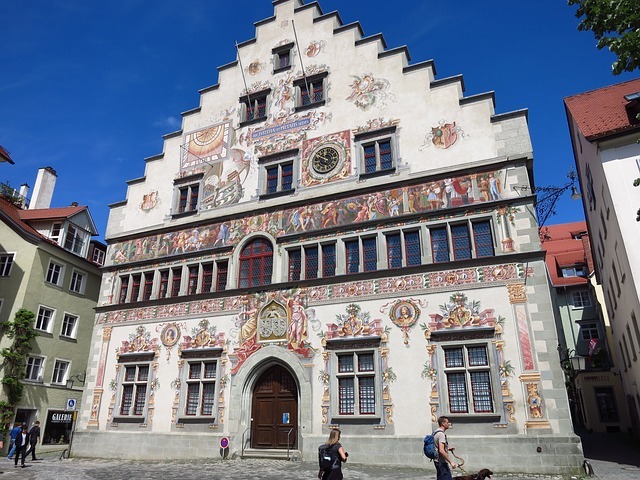 There are beautiful painted buildings all around Lake Constance, but this, the Town Hall in Lindau, was a particular favourite. Recommended site: Lindau was once a small fishing village but by the 13th century it had grown into a wealthy island city. It’s a beautiful place full of character and charm with a buzzing atmosphere and flower-adorned half-timber houses. I would have loved to have spent the night here instead of moving on to Hochst, which is a very small Austrian village and was too quiet for us! Day 8 – Return travel to the UK. 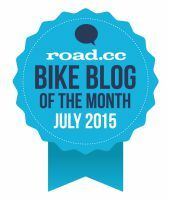 The bike you ride can make or break a cycling holiday. When you’re in the saddle for continuous days, you want a good mix of comfort and performance. The bikes were from bike hire company Radweg Reisen and were comfort bikes with two large waterproof panniers, a handlebar bag and a map holder. They were sturdy and trustworthy and never once let us down so we had no need to call the support line that was available throughout our cycling around Lake Constance. Personally, I would have enjoyed the trip more had the bikes been lighter to handle. They were quite heavy going at times! We travelled courtesy of Wheel 2 Wheel Holidays from Stansted to Munich. From Munich we got a train from the airport to Munich city centre and travelled by coach from the central bus station directly to Konstanz. 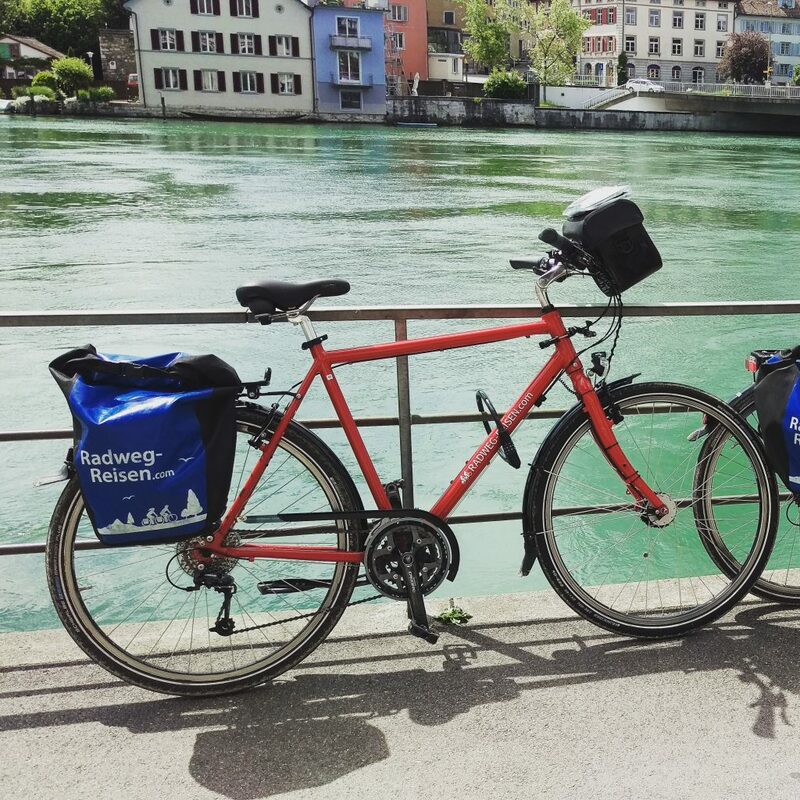 This added an extra four hours on to our journey but flying in to Zurich is much more direct and means your cycling holiday can begin far more quickly! Request this option when booking for a smoother trip. There is a varied array of accommodation available in Lake Constance ranging from contemporary to the more traditional. Our week long stay included bed and breakfast in a range of hotels, some we preferred far more than others. If you travel with Wheel 2 Wheel holidays you can upgrade your stay to Class A which means all of your hotels will be rated three star or above. Hotel Chlosterhof – Stein am Rhein – Amazing staff and a modern hotel in a really pretty location on the Lake edge. Enjoy the indoor pool and sauna after a day in the saddle. It’s an expensive place to eat, as is all of Switzerland but we discovered a burger takeaway kiosk where you could eat outside with a beer….or two…and watch the world go by with the locals! Bad Hotel – Uberlingen – A beautiful, modern hotel which is right on the waters front, a short stroll from shops, cafes and bars. Our contemporary room was filled with large windows overlooking the lake and courtyard with surrounding trees. Just lovely! What would have made it even better? It was a great trip and one we’ll remember fondly. Consistently good hotels would have helped to make it even more memorable; one or two were more basic than we anticipated. For me personally, I would have liked a lighter bike and a built in rest day to enjoy some local water sports in the stunning Lake. I really wanted to stand up paddleboard or kayak but there was little opportunity to do so on our route because of time and it being the start of the summer season. 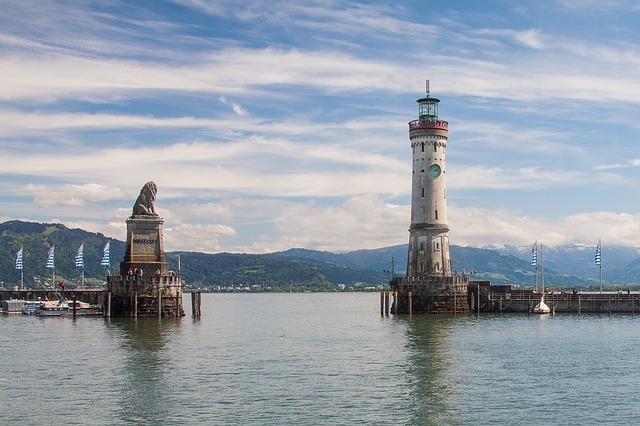 The things I’ll remember most about cycling Lake Constance? 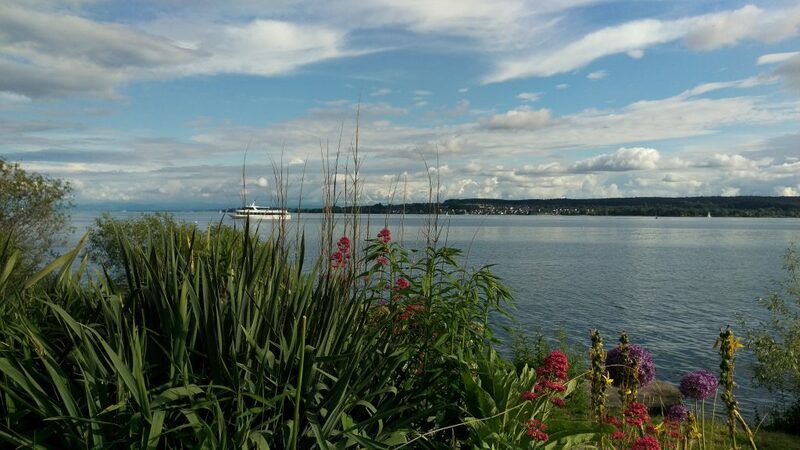 If you like waterscapes, historical buildings and traffic free cycling, you’ll really enjoy cycling Lake Constance. The views and sounds reminded me of fairytale images from childhood storybooks. 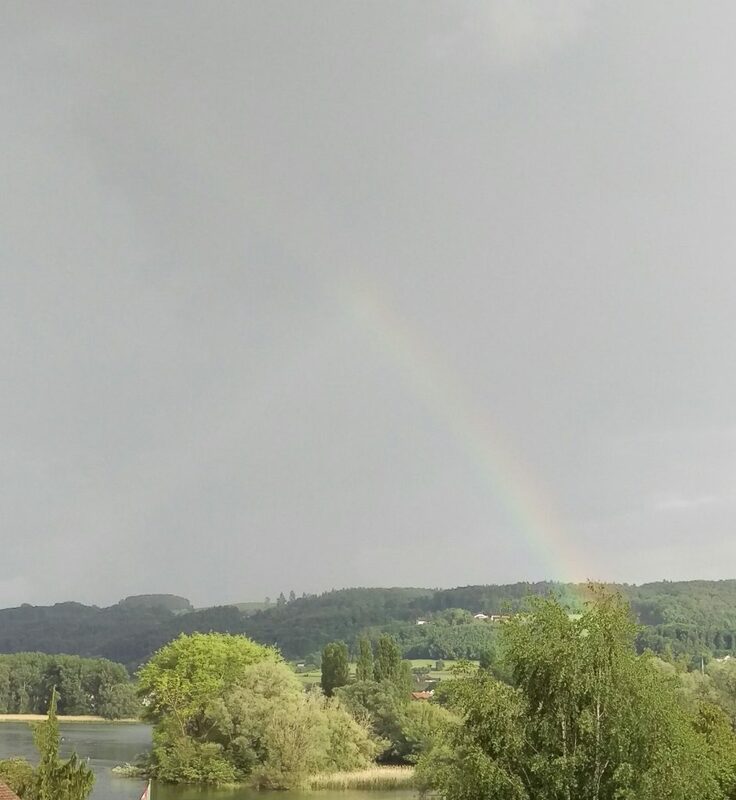 Whilst the tour doesn’t involve a huge amount of kilometres to cycle in a week, there was still a great feeling of achievement as we sat and enjoyed a chilled bottle of Lake Constance wine, enjoyed the stunning views, watched rainbows form and listened to the cuckoos on an evening. 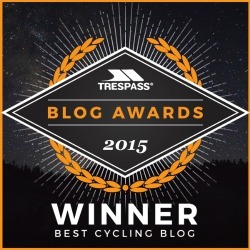 Where have you cycled recently? 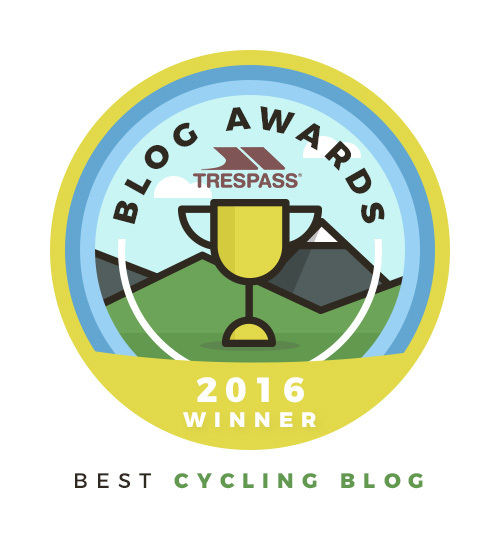 Which European cycling destinations can you recommend? 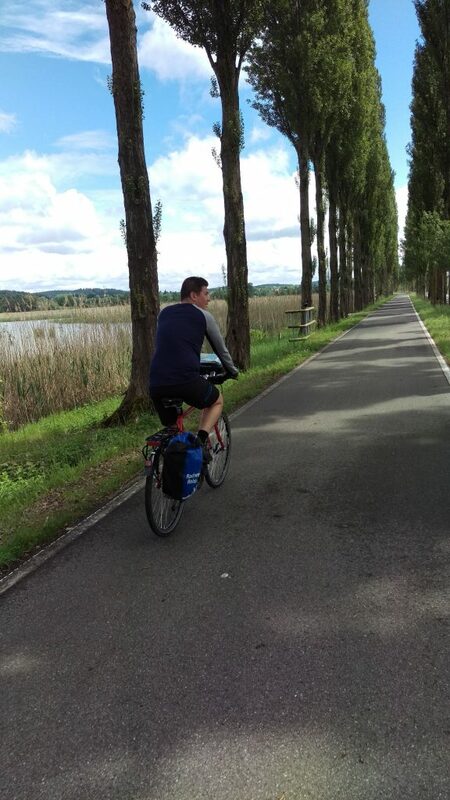 Share the post "Cycling Lake Constance: a fairytale cycling holiday"
My partner loves water and he really enjoys being next to the sea or lakes.I think he would love Lake Constance. I would love this kind of holiday as well, exploring on a bike but not doing too many kilometers to get really exhausted. I am definitely going to keep this destination in mind for the future. It sounds like cycling Lake Constance would suit you both perfectly, Petra! Wow.. What a beautiful place to go cycling. Now I plan to do something like this by myself, maybe around Marusian lakes. 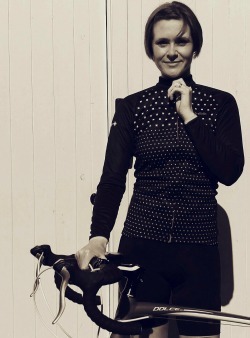 Hello Karol, so pleased to hear you such a wonderful time cycling on a week long tour. It’s an amazing way to experience somewhere new isn’t it! I hope your tour around the Marusian Lakes is just as special. It’s not an area I’ve visited before, but it looks very beautiful! Enjoy your tour!